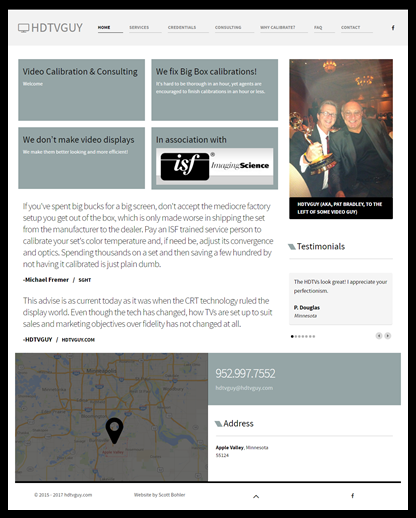 A brochure website presenting HDTVGUY's Video Calibration and Consulting services. Pat Bradley is recognized as one of the top calibrators in the world. Pat selected Bohler Solutions to solve his website problems.